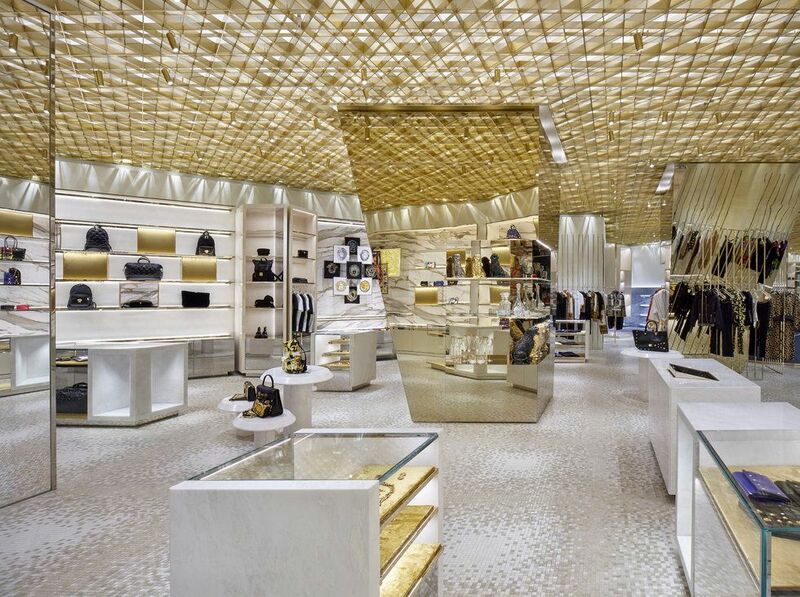 When you think Versace you think over-the-top luxury and sexiness but thanks to their new boutique in Bal Harbour, FL you'll also think sustainability. Architect Gwenael Nicolas designed the space with the highest sustainability standards in mind. From the sourcing of the materials in the store to climate control and energy efficiency of the boutique, every detail is optimized. The store has been given a Gold level rating by LEED, Leadership in Energy and Environmental Design, which certifies buildings on their levels of sustainability. "I love this new concept that embraces a sustainable future for the people and for the environment," Nicolas says. "I believe in constant evolution and I think this project perfectly embraces the heritage of the brand with innovative spatial design for Versace's vision for the future." He continues, "Versace is a brand that never ceases to surprise. Its intense curiosity for the new keeps the collections contemporary and innovative. The new store concept follows that path."